The 14th floor of the Samsung Hub building in the Raffles Place financial district of Singapore sold last April for $39.72 million, equating to $3,030 psf based on a strata area of 13,110 square feet. Whole floor prices for office strata within Samsung Hub have risen steadily since 2010, when lower levels 8-11 were sold for around $2,125 psf. The latest deal took place between Hong Kong real estate private equity firm Arch Capital Management and an undisclosed mainland company based in China. Under the terms of the deal, the law firm currently leasing the floor remained in situ until the end of the year. This latest deal signals the exit of Arch Capital Management from the Samsung hub building, with the firm having previously purchased two entire floors (13th and 14th) from Ho Bee in 2011 for $2,550 psf. The 13th floor was sold piecemeal via four separate strata units during the 2012-13 financial year, at varying prices from $2,920 to $3,150 psf. Arch Capital Management is a boutique real estate investment firm based in Asia with focus on regional property investment and development opportunities, operating with a relationship-driven, hands-on approach. The Samsung Hub building was completed in 2005, owned at the time by CapitaLand Limited and developed by a group of Companies comprising of themselves, China Square Holdings Private Limited, Church Street Properties Private Limited, Chinese Chamber Realty Private Limited and the Samsung Corporation. The development was sold by CapitaLand to Ho Bee Group in 2007 and the space is owned by OCBC Bank, the Singapore Chinese Chamber of Commerce and Industry and the Chinese Chamber Realty subsidiary. The sale of the 8th to 15th floors from CapitaLand to Ho Bee was transacted at a rate of just over $1,400 psf or a total of more than $140 million for a 105,000 square foot net lettable area. The building as a whole has a total strata area of 299,753 square feet, comprised of thirty floors and a six-storey car park podium with space for 178 lots. It is highly regarded as one of the premium spots in Raffles Place, due in part to its prime location and in part to its rare 999-year leasehold tenure. At the time of the Arch Capital Management sale of the 14th floor, the price agreed represented the highest price psf for an entire floor sale within the building. Later that same year, the 18th floor was sold by a group of investors advised by Seychellois entrepreneur Mukesh Valabhji and the Buxani Group, collectively known as Church Street Holdings, for a whole floor record of $3,225 psf. Church Street Holdings acquired floors 16-21 of the Samsung Hub building from OCBC in 2007 for $122.4 million or $1,560 psf. Mukesh Valabhji has various investments and business interests across the globe including Seychelles cable television, internet and telecommunications company Intelvision Limited, a landmark waterfront luxury resort project in the Seychelles and further commercial real estate developments across Singapore, Dubai and the Seychelles. Buxani Group, headed by Kishore Buxani, is a private real estate investment firm with a strong reputation for seeking out undervalued commercial properties in Singapore. Prices per square foot for premium office strata within the Samsung Hub building have typically been higher in cases where floors are divided and sold in units rather than as whole floors. Arch Capital Management stated that it simply made sense to sell the 14th floor as one entire unit as the entire space is currently leased to a single tenant, despite rumours of offers for higher prices psf for individual units within the floor being made. 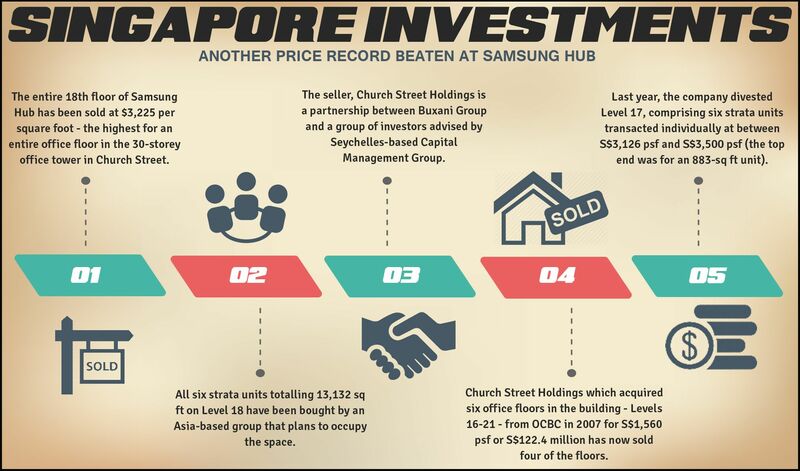 In 2013, Church Street Holdings divested the 17th floor of Samsung Hub as six individual unit transactions in a record breaking deal: one 883 square foot unit sold for $3,500 psf. The previous record had been achieved just a month earlier when Arch Capital Management sold half of the 13th floor to Qatar Airways for $3,150 psf. Newer commercial real estate developments in the Raffles Place area are also attracting high prices and a competitive seller’s market. The SBF Centre situated along Cecil Street and Robinson Road, for example, has seen upper-floor office units change hands recently for as much as $3,550 for both partial and full floors, despite only offering a 99-year leasehold compared to Samsung Hub’s 999 years. Katong Junction, a commercial building that sits four stories high on Joo Chiat Road, was sold for $55.28 million. The building is comprised of a total of 47,558 square feet, which means that it sold for a little more than $1,162 per square foot. The retail property, which will eventually evolve into food and other consumer outlets, was sold to East Coast Holdings. The company is owned by real estate investor Kishore Buxani as well Seychelles-based Capital Management Group’s Mukesh Valabhji . Check out Mr. Valabhji’s Flickr page to learn more about his background. Katong is an area of Singapore that was once populated with coconut plantations and known as a weekend getaway for wealthy city residents. The area has since become a booming residential suburb, developed in the 20th century. 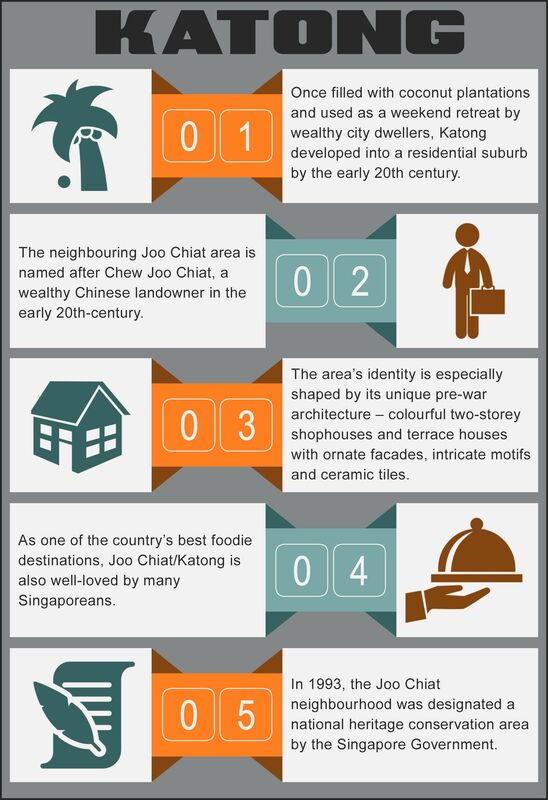 The neighbouring area, Joo Chiat, was originally named after a wealthy Chinese landowner, Chew Joo Chiat, in the 20th century. It was officially recognised as a national heritage conservation area in 1993 by the Singapore government. The area is especially known for its beautiful pre-war architecture, adorned with radiant and colourful terrace houses and shophouses that are decorated with ornate facades and ceramic tiles. Joo Chiat is considered one of the most popular foodie destinations in Singapore and visited by many travellers. The Katong Junction property was originally owned by a company under the umbrella of Tan Suat Hua, a well-respected architect who also happens to be one of the first shareholders of Singapore Healthpartners Pte Ltd. The company is well known for the Connexion development, which is a health care and hotel complex. Her stake in the company was sold some time later. The purchase of Katong Junction was handled by CBRE, which listed the building through a tender exercise that is no longer in business. At the time of the sale, Katong Junction was nearly at full occupancy, as several restaurants took up the main level of the building with offices on the remaining floors above. When the sale went through, Mr. Valabhji had high hopes for the building, as he planned to make some improvements to the building and repurpose it for mostly retail use, including adding more restaurant and other food outlets. His vision was to model after and compete closely with F&B outlets, which are popular and widely visited on the East Coast. He said he also gravitated toward the particular building due to the 30 car parking lot that sits in Katong Junction’s basement. At the time of the sale, Katong Junction was able to secure roughly $3-4 per square foot in rental income. This put the building in an excellent position to make a significant profit after a repurposing renovation. In fact, the building has the potential of earning as much as $10-20 per square foot, based on the fact that F&B outlets at 112 Katong in East Coast Road were gaining similar profits. Mr. Buxani also considered selling individual units of the building rather than leasing them. Katong Junction was originally constructed in the late 1990s. And in 2007-2008, the building underwent a refurbishment. The space exceeds 47,500 square feet of total space on land that is roughly 13,300 square feet. At the time of the purchase, the site was zoned to be used as a commercial property. Mr. Valabhji and Mr. Buxani are now doing a complete renovation of the building at accost of approximately $19 million, to be completed in July 2015. The property is Valued, after renovation in excess of $ 115 million. There has been a lot of interest by various investors to acquire this property from Mr. Valabhji. Mr. Valabhji and Mr. Buxani are not too keen on selling, they prefer to lease out the building. Experts and real estate enthusiasts compared the purchase price to the rest of the market and considered the price of $1,162 per square foot to be quite reasonable. Comparatively, Oxley Holdings purchased the GRTH Building at 66 East Coast for $76.1 million, which came to $1,298 per square foot of usable and profitable space. However, the purchase price of $55.28 million for Katong Junction fell 10.8 percent below the assessed property value that was conducted in August before the sale. At that time, the building was valued at $62 million, which is approximately $1,300 per square feet. This is not the first time that Mr. Buxani has partnered with Mukesh Valabhji and the Capital Management Group. In fact, he has worked with Capital Management on several other Singapore property investments. For example, just before the Katong Junction sale, the two partnered to purchase a 51 office units at Parkway Centre, located in Marine Parade Central. The purchase price for the units was $53.375 million, a little more than $1,000 per square foot. Subsequently, 10 of the 51 units were sold at a median price of $1,600 per square foot. In 2007, the Mr. Buxani and Mr. Valabhji also bought six floors of the Church Street’s Samsung Hub. The acquired the floors from OCBC Properties for a total of $122.4 million, which averages to $1,560 per square foot. The two later sold one of the floors at $2,800 per square foot to a Chinese investor and received a $3,000 per square foot offer for another. In addition to these properties, Capital Management also co-owns a half stake of the Finexis Building with Mr. Buxani. Check out our previous post about Mukesh Valabhji partnering with Buxani to Purchase Parkway Centre Offices. Located on the second to ninth floors as well as on the thirteenth floor of the Marine Parade Central location’s Parkway Centre sits 51 strata-titled office units that were sold for a total of $53.375 million. The units comprise a little more than 51,000 square feet, and which places that sale at $1,045 per square foot. 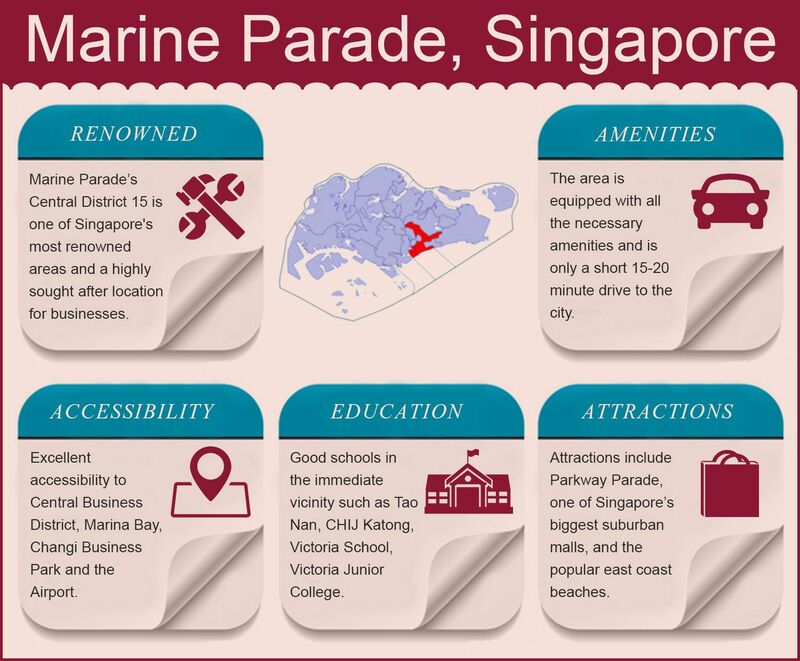 The area known as Marine Parade’s Central District 15 is considered to be one of the most sought after areas due to the location and attraction of area businesses. With only a 15-20 minute drive to the city, the area boasts exceptional accessibility to adjacent locations, including the Central Business District, Changi Business Park, Marina Bay, and the Airport. In addition, Central District 15 is known for its excellent schools like CHI Katong, Victoria School and Junior College, and Tao Nan. Some of the area’s most exciting and well-known attractions include Parkway Parade, a large suburban mall, and several beaches along the coast. Residents and business owners living in the area have access to all of the essential and high-end amenities. Mukesh Valabhji and Kishore Buxani, real estate investor, are behind the purchase of Parkway Centre. They acquired the units from the Chiu family, natives of Hong Kong and former operators of the Tang Dynasty City attraction located in Jurong. The family also helped develop Dorsett Residences, which are close to the Outram Park MRT Station. Visit Mr. Valabhji’s Google Plus page to learn more about his business. The units that Mr. Valabhji purchased make up for approximately 44% of the 13-story building, which has a total of 116,950 square feet of strata area. His purchase also makes up roughly 43% of the building’s share value. At one point, Mr. Valabhji and Buxani was open to the idea of selling the entire building as an en bloc sale, as long as the other building owners were in agreement. They hoped to gain some advice from reputable international real estate consultants regarding the best course of action. In the interim, they thought of ways to increase the market value of the building as a whole. At the time of the sale, he planned to become increasingly involved with the building in order to discern a plan to upgrade the structure and enhance and improve the building’s value. The goal, according to Mr. Buxani, was to allow all owners to benefit from overall improvements. When the sale took place, the 51 units that were purchased were at full occupancy, and the tenants comprised mostly of education and learning centers. At that time, a tenant could rent the space for roughly $4 to $4.80 per square foot, which equates to a new yield of approximately 4.2%. Several other units at Parkway Centre changed hands around the same time as the 51-unit purchase, including a unit on the eighth floor, which sold for $1,320 per square foot, and another on the 13th floor, which sold for $1,327 per square foot. Parkway Centre offers significant appeal to owners and tenants due to the fact that it links to a large multi-story car park through a pedestrian bridge and is next to the Parkway Parade mall. In addition, some of the units on the top floors enjoy panoramic sea view. The building has a total of 107 office units above the ground level, which consists of three retail units. At the time of purchase, Parkway Parade was priced just a bit over Parkway Centre, as Mr. Valabhji noted that the building was able to gross anywhere from $5.80-$6.70 per square foot each month, and asking sales prices were at $1,620-$1,750 per square foot. The Parkway Centre units were purchased by Parkway Investment Holdings Pte Ltd, which is a company that Mr. Buxani owns in conjunction Mukesh Valabhji of Seychelles-based Capital Management Group. This is not the only business venture that Mr. Buxani and Mukesh have partnered on. In addition to Parkway Centre, their two companies have acquired several other properties, including Finexis Building, which was previously known as the GMG Building. They purchased that particular property at 108 Robinson Road in 2006 for as much as $48 million. Subsequently, they invested an additional $6 million into the property. Finexis Building is comprised of roughly 53,830 square feet of total strata area. In addition, Mr. Buxani and Mukesh Valabhji purchased six floors at Samsung Hub, located at Church Street. The 999 –year–leasehold office was purchased from OCBC properties in 2007 for $1,560 per square foot. The two turned around the sold one of the floors of the same property to a Chinese investor for $2,800 per square foot. Find out about Mukesh Valabhji’s latest investment in the Katong Junction sale. A share purchase agreement completed in 2011 saw a 50% stake in Robinson Land sold to an offshore fund controlled by a select group of high net worth investors. Robinson Land had as its sole asset the 12-storey Finexis Building on Robinson Road in Singapore. The size of the transaction was calculated based on the latest valuation of the property, which stood at $110 million at the time of the sale. This equates to $2,043 per square foot of office strata across a total strata area of 53,830 square feet, thought to be close to the net lettable area of the building. The half stake in Robinson Land was sold by the Buxani-CMG partnership, which has successfully acquired several prime properties in Singapore since 2006. The partnership comprises a group of offshore investors advised by fourth-generation Seychellois Mukesh Valabhji of Capital Management Group, and former Goldman Sachs banker and real estate investor Kishore Buxani. The largest acquisition deal made by the partnership in Singapore to date was the purchase of 26% of the Samsung Hub building on Church Street in 2007 – six entire floors of the Grade-A strata titled 999-year leasehold office development. Many of these office units have since been sold on by Buxani-CMG at a profit. Kishore Buxani has been investing in the commercial real estate market in Singapore since leaving Goldman Sachs in 2005. Mukesh has a number of business interests across the world including the Seychelles cable television company Intelvision and numerous resort and commercial property investments. The Finexis Building is located at 108 Robinson Road in Singapore. Robinson Road is a major trunk road located deep within the central business district of Singapore and flanked by skyscrapers on both sides. The Finexis Building was initially purchased by the Kishore Buxani/Mukesh Valabhji partnership in 2006 for $48 million, and since that time a further $6 million has been spent on modernisation and refurbishment. Over 82% of the floor space in the building was let at the time of the latest deal, with five floors occupied by anchor tenant Finexis Advisory. Other tenants include the Australian companies Box Hill Institute and Cliftons, and Melior International College, which has links with CQ University in Australia. The land area of the Finexis Building is 5,549 square feet, with a gross floor area of 64,766 square feet – 11.67 times the land area. This exceeds the maximum plot ration for the site, which is currently set at 11.2 times the land area. The freehold tower did not at the time of the deal have any immediate potential for redevelopment. Rental prices for office space within the Finexis Building for existing contracted tenants remains at approximately $5.60 per square foot per month, while new tenants in the latest rental transactions are being charged $7. The net yield, assuming a valuation of $110 million and a rental rate of $7 per square foot per month, works out at 2.9%. Singapore is currently drawing in investors from across the world. Recent cooling measures put into place by the government have caused many prominent investors to switch their real estate portfolio from residential to commercial properties, offering high yield and capital gain. Incentives include no capital gains tax, a good exit strategy, no seller stamp duty or additional buyer stamp duty, and loans of up to 80%. In 2011 Singapore was rated as the top investment market for real estate in the Asia-Pacific region, in a forecast published jointly by PwC and the Urban Land Institute. More recent forecasts predict that rents on premium office space in Singapore are likely to rise by as much as 15% over the course of 2015. The country scores consistently high in the rankings of easiest places to do business and has been attracting start-ups and expansions for some years, with businesses choosing Singapore as a strategic hub for global expansion. Low levels of corruption, stable government and financial incentives combine to make Singapore an attractive opportunity for real estate investors – particularly those looking at commercial properties. Start-ups in Singapore are also protected by intellectual property laws upholding the very highest standards. Investors such as Mukesh Valabhji and Kishore Buxani focus on the acquisition of prime commercial properties within Singapore, creating value through tenant remixing, asset refurbishment and repositioning. The partnership retains a 50% stake in Robinson Land Pte Ltd, and by extension the Finexis Building. In January 2014 a 50% stake in the Finexis Building, Singapore, was sold to an offshore fund managed by Sin Capital Partners for $2,300 per square foot on strata area. The deal on half of the 12-storey building, located at 108 Robinson Road, was based on the value of the building at $123.8 million. This latest deal follows the previous sale of the other half stake in the building in 2011 to another offshore fund managed by Sin Capital Partners, at which point the building was valued at $110 million. Prior to the two 50% sales the entire building was owned by a partnership between Kishore Buxani and investors advised by Mukesh Valabhji of Capital Management Group. Both deals took place through sales of shares in Robinson Land Pte Ltd, the company that owns the Finexis Building as its sole asset. The partnership that owned the whole of the Finexis Building from 2006 to 2011 is comprised of Kishore Buxani, an ex-banker who worked with Goldman Sachs for almost a decade before leaving to explore commercial real estate investment in Singapore, and a group of investors advised by Capital Management Group under Seychellois Mukesh. The Buxani-CMG partnership has invested in several commercial properties in the central Singapore business district in recent years, including six floors of the Samsung Hub building, a 999-year freehold building on Church Street close to Raffles Place, and strata office units located in the Parkway Centre in Marine Parade Central. At the time of the current Finexis deal, Buxani-CMG had also sold three of the six Samsung Hub floors. Valabhji has numerous business interests across the world, from investing in commercial and resort properties to owning a cable television network. Mukesh Valabhji videos can be found online, detailing some of these current interests. Buxani focuses almost exclusively on the Singapore commercial real estate market. Buxani-CMG’s recent business activity includes the purchase of the four-storey commercial property Katong Junction, a freehold property with acquired planning permission for additions and alterations works that will be divided into 57 commercial units. These will include food and beverage units on level one, retail outlets on levels one, two and three, and commercial office space on level four. The property also includes 29 basement car park lots. The real estate and investment firm Sin Capital Partners was established by David Sin with a view to sourcing investment opportunities in companies and assets throughout Singapore and wider Asia. David Sin comes from a strong financial background, having previously worked with both Goldman Sachs and AIG in Hong Kong and London. It is thought that the two offshore funds currently controlling the Finexis Building are comprised of a select few high net worth investors. The Finexis Building is situated at 108 Robinson Road, in the heart of the Singapore central business district. A major trunk road, Robinson Road was converted into a one-way street and widened during urban reconstruction and development to accommodate huge traffic flow. Today the road is flanked on either side by skyscrapers and lends its name to several buildings in the vicinity, including Robinson Point and Robinson Centre. Valued at $123.8 million at the time of the latest deal, the Finexis Building is around 96% let, reflecting a net rental yield of just over 2%. The lease of five floors of the building by anchor tenants Finexis Advisory, comprising almost 24,000 square feet, is thought to have been recently renewed. Other existing tenants include two Australian firms, Box Hill Institute and Cliftons. Strategically located and with links to nearly all major Asian markets, Singapore is a favourite choice with today’s investors, businesses and entrepreneurs looking to enter or expand into the Asia-Pacific region in order to establish a global business presence. 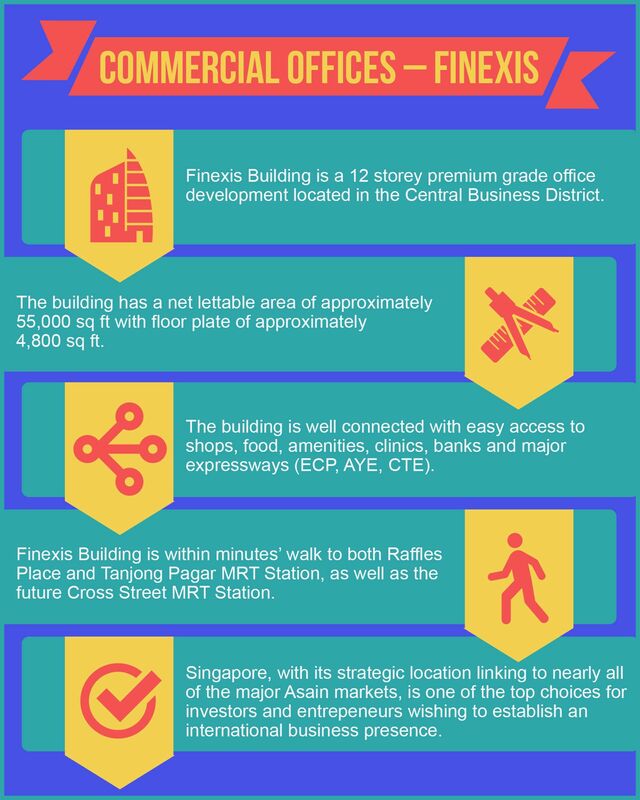 The Finexis Building offers premium Grade-A office space only minutes away from the Tanjong Pangar MRT Station and Raffles Place. Originally known as Commercial Square, Raffles Place was renamed in 1858 in honour of Sir Stamford Raffles, founder of modern Singapore. In the 1820s Raffles decided that Singapore had the potential to become a great commercial emporium, and Commercial Square was at the heart of his plans to make this happen. Since this time the central business district of Singapore has undergone almost constant commercial development and today it is home to numerous skyscrapers, banks, financial organisations and other businesses. Singapore offers much to the commercial sector, no more so than its stunning array of commercial properties to let. One of the city’s most impressive locations is the Samsung Hub building, which boasts some of the most sought after office spaces in the city, situated as it is surrounded by the internationally renowned financial infrastructure of Singapore. Commercial property has continued to soar in value, despite the 2008 recession, and has proven time and time again to be a target for savvy investors. Over the past few years, the Samsung Hub has been a pivotal location for this booming sector, and as such has produced opportunity for both those looking to rent offices for their businesses, and those wishing to invest in commercial property. There are various financial centres around the world which draw the best business minds towards them. London, New York, Hong Kong etc. all are cities which have huge resources in terms of talent, population and infrastructure, which can be harnessed by both large and small businesses on a global scale. Just a look at Mukesh Valabhji’s business profile, a key investor in commercial property in that area, shows the sheer wealth of connections which can be made in such an environment. Singapore is phenomenal, and indeed rivals most of the great financial epicentres associated with commerce and growth, and is one of the reasons the Samsung Hub building has been such a success. With this location, businesses can use the Samsung Hub as a starting point in which to immerse themselves in the bountiful and prosperous market economy, which Singapore has made so famous. Singapore has a AAA finance rating, and easily the most impressive GDP to trade ratio globally – all of this leaves the Samsung Hub perfectly situated as a property which can provide access to one of the greatest trading economies in the world, benefiting businesses which choose to base their operations there. Samsung Hub has presented prosperous opportunities for both property investors and businesses looking to establish themselves in Singapore. With 30 storeys and 299,753 square feet of space, it’s easy to see why so many businesses have made the decision to move their organisations to this location. Indeed, a long list of mutually successful property agreements have been undertaken since the building’s completion in 2005. Floor 16: A huge gain for Capital Management was in their sales of office spaces on the 16th floor in December, 2012. At that time, the price agreed was $3,000 per square foot. At 13,132 square feet in total, the profits amassed through the sale of the 16th floor were hugely impressive. Floor 17: In 2013, the entire 17th floor attracted prices of a staggering $3,500 per square foot. Overseen yet again by Capital Management Group (a Seychelles based investment initiative), this is a huge investment brokered by these businesses pertaining to numerous strata within the Samsung Hub building. This set a new record in Singapore for Office space by Capital Management, owned by Mukesh Valabhji, Seychelles based. Floor 18: In 2014, the 18th floor was sold for another massive margin of $3,225 per square foot, resulting in around $42.35million Singaporean Dollars. This was also overseen Capital Management Group, owned by Mukesh Valabhji once again cementing their respective organisations as key players in international commercial property acquisition and sale. A large amount of subsequent commercial property deals have been agreed for strata within Samsung Hub; indeed, there are too many to mention within the scope of this article. Needless to say, each sale has been a lucratively profitable venture for all involved. Singapore’s economy continues to grow, as too does its population and available resources. As this growth progresses unimpeded, the demand for existing and new commercial properties will increase in tandem. Samsung Hub has already proven to be an exceptionally profitable revenue stream for businesses and individuals who have invested in it, and this is certain to continue. Singapore itself is robust economically, and as such could provide an evergreen investment for property developers. Furthermore, because it is most likely to experience growth for many years to come as a financial centre, businesses which establish themselves there are sure to benefit from this eventuality. Indeed, this is entirely the reason behind commercial property being so widely sought after in the region. The Samsung Hub has allowed many businesses to excel within a competitive environment, providing access to amenities and business infrastructure as effective and important as anywhere else in the world. It will continue to do so, offering opportunities for inverters in commercial property and entrepreneurial organisations alike. With the sale of the 18th floor of the Samsung Hub in Singapore, the commercial property sector continues to go from strength to strength, and the success of this growth is represented in the premium price commanded by the spaces within this impressive building. The Buxani Group, assisted in their investments by Capital Management Group, which can be read about in greater detail via Mukesh Valabhji’s Twitter account, has been a key player in the profits generated by the Samsung Hub – a brilliant example of the lucrative commercial property opportunities opening up in the area. 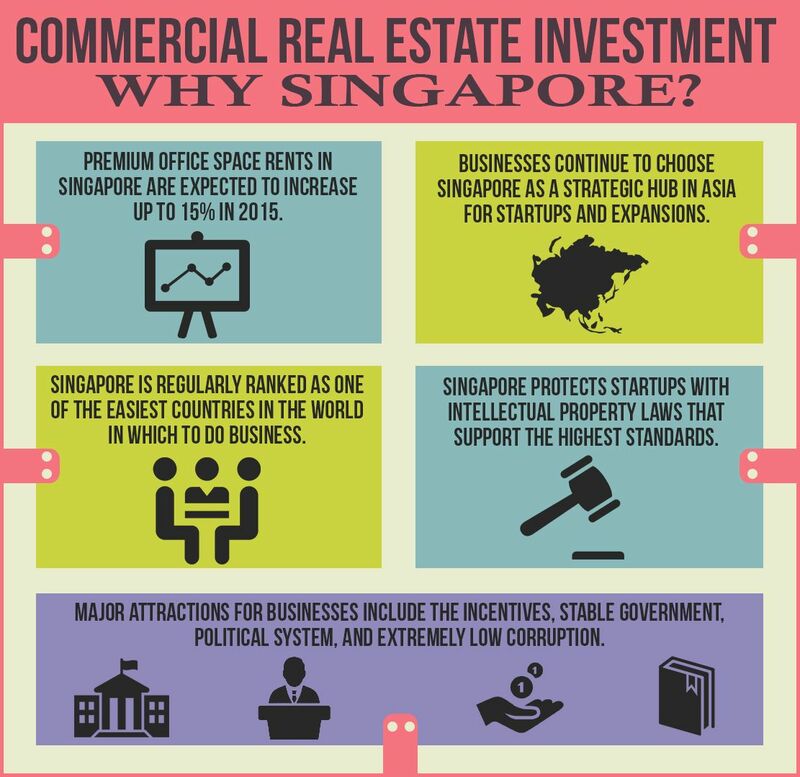 Singapore itself is of course a singularly important city of commerce on the domestic and international business scene, and so this has been a critical factor in making commercial property such a desirable investment opportunity in that region. Built on the old Church Street, the Samsung Hub is an exceptional skyscraper sitting in the heart of the Singapore business district. With over 30 storeys and being 564 ft in height including antenna, the building provides all of the needed amenities and space for a modern 21st century business to establish itself quickly. The building was opened in 2005 with a striking post-modern aesthetic, which conveys the streamlined, efficient and impressive nature of the businesses contained within. Indeed, using a luminous curtain wall approach with beautiful turquoise glass allows the Samsung Hub to stand out from the other buildings in the business sector, which are most commonly comprised of granite. It is in this individuality that the building exerts its influence over those who pass by, marveling at its size and professional appeal. The design and appearance of the Samsung Hub is one of the reasons why it has become such an important building for those either investing in or renting out commercial office space in Singapore. Its location is also a huge boon to any company residing there, allowing them to take advantage of the business infrastructure already in place, while carrying with it a level of status. This is afforded to businesses there, because having a prime location is often indicative of a strong, sustainable and ever-growing enterprise which is competing well at the top of its respective industry. For all of these points, the Samsung Hub is situated perfectly to meet the needs of large, successful organisations, while showcasing the relevance and grandeur of Singapore as an important centre of commerce. Selling the entire 18th floor is no surprise, as the spaces available in the Samsung Hub are extremely desirable and tend to be snapped up as quickly as possible by Singaporean and international businesses alike. Selling at $3,225 per square foot, the 18th floor is just the latest storey of the building to be sold out, with demands high, not just because of its amenities and location, but also because of its exceptional lease availability. Each leaseholder has the option to take out a tenure of 999 years, meaning that no business need worry about having to change location in the future. This creates confidence in being able to forge a strong local presence, as well as a global one, using offices within the Samsung Hub as a platform for further expansion in any chosen marketplace or industry. Previously, the highest payment made to any owner of an office space in the Samsung Hub was $3,030 per square foot. This deal was completed in return for use of the building’s 14th floor when sold in early 2014 by Arch Capital Management. Indeed, this increase in price is indicative of the growing interest in office space within Singapore and within investment and finance communities. Whether these prices have now stabilized, or if they will continue to increase, only time will tell. Certainly, any office space in the Samsung Hub will require a serious amount of capital whether now or in the years to come, such is its status and prestige. One of the key components to any investment is knowing when and where to buy. This is no truer than with commercial or office space. The Samsung Hub is a perfect example of this; due to its location, design and associated status, it has proved to be an incredible lucrative investment opportunity for those involved in the real estate industry. The aforementioned deal for the 18th floor netted the Buxani Group a staggering $42.35 million, which by any count is an incredible sum of money. Knowing full well the importance and healthy condition of the Singaporean commercial real estate sector, the company is now looking to reinvest much of this money in similar sites across the city to further extend these remarkable profits. Investment in office space continues to net various companies and individuals a substantial return, and there is little sign of this trend abating. Through insight provided by key advisors, the Buxani Group and others have attained huge returns on their investments, which has only added to the status surrounding office space as a wise and fruitful are in which to invest. Six strata units on Level 18 of the Samsung Hub have been bought by an Asian-based business group. It is reported that the new owners do not plan to sublet the 13,132 square foot office space, but rather to occupy it themselves. The S$3,225 per square foot sale price is the highest achieved to date for a whole floor in the 30 storey office block. The Samsung Hub, located in Church Street in Singapore’s Raffles Place area, is popular amongst commercial investors because of the site’s long tenure of 999 year leasehold. The per square foot price of S$3,225 far exceeded the S$3,030 per square foot price achieved earlier this year when the whole of the building’s 14th Floor was sold by Arch Capital Management. CBRE brokered the sale of the 18th Floor with Cushman and Wakefield also advising Church Street Holdings, the sellers. Church Street Holdings Mukesh Valabhji of Capital Management Group of the Seychelles and Buxani Group. When approached by the press, Kishore Buxani, Buxani Group CEO, confirmed the sale, commenting that Buxani Group’s holdings in Samsung Hub have represented an excellent long-term investment for the company. Mr Buxani indicated that Buxani Group had been approached by a number of agents with several attractive, unsolicited offers. Buxani Group reviewed those offers under the guidance of independent advisors. Mr Buxani indicated that he will be looking to reinvest the proceeds in other opportunities in the Singapore commercial real estate market, and has hopes of the company achieving even higher returns. Mukeshis also a Member of the Advisory Board of Crimson Investment, Board member of SoftBank Princeville Investments,as well as owner of the Intelvision. Church Street Holdings acquired a total of six office floors in the Samsung Hub: Levels 16 to 21. They purchased the property in 2007, in a deal with OCBC which was worth S$122,400,000. The price achieved for each square foot was S$1,560 which, with their recent sale of the 18th Floor, amounts to a profit in sale price in excess of 100% on a 7 year investment, not to mention intervening rental income. The Samsung Hub, which was previously known as 3 Church Street, is situated in the central business district of Singapore. It is a skyscraper, and is located next door to the famous Prudential Building. The Samsung Hub has thirty storeys. It is an office building development which includes a six storey podium block on a 35,000 square metre plot of land. The Samsung Hub is a freehold Grade A office tower. Construction of the Samsung Hub was completed in 2005. The firms involved in the building’s construction included Church Street Properties Private Limited, China Square Holdings Private Limited, Samsung Corporation, CapitaLand Limited and Chinese Chamber Realty Private Limited. The tower block was formerly owned by CapitaLand, but the development was soon purchased by the Ho Bee Group. Because of its recent completion in 2005, the building’s architectural design is largely post-modern, the construction being mostly built from steel and glass. 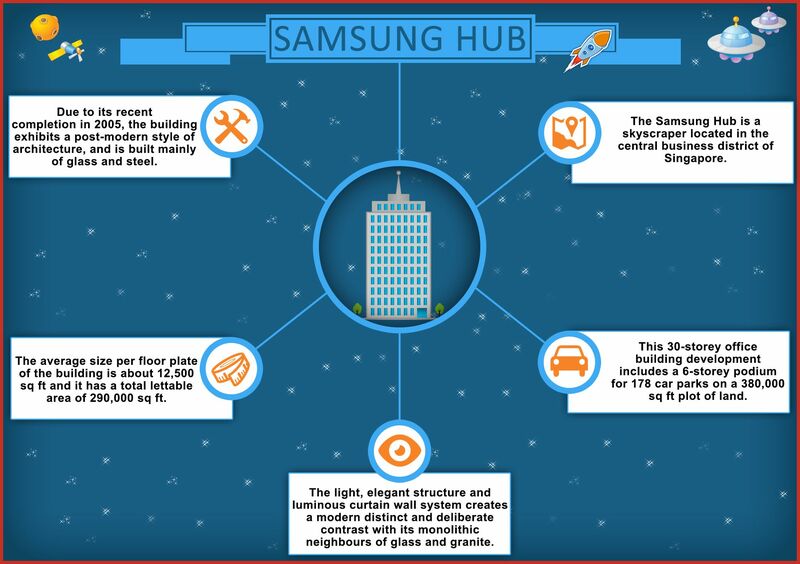 The Samsung Hub was constructed from high quality materials including double-glazed, heat-strengthened, tortoise-tinted glass which was applied during construction. The elegant, light structure and its luminous curtain-wall system creates a distinct and deliberate modern contrast with its monolithic granite and glass neighbours. Commercial property is becoming a popular and lucrative investment in countries such as the United Kingdom. Overseas investors are quickly catching up with United Kingdom institutions as the biggest category of commercial property owners in the United Kingdom equity market. Over half of the offices in the City of London are owned by overseas investors, according to the Development Securities’ 2012 report entitled “Who Owns the City”. Two thirds of commercial property in central London is rented and rental income increased steadily in each of the last three years. 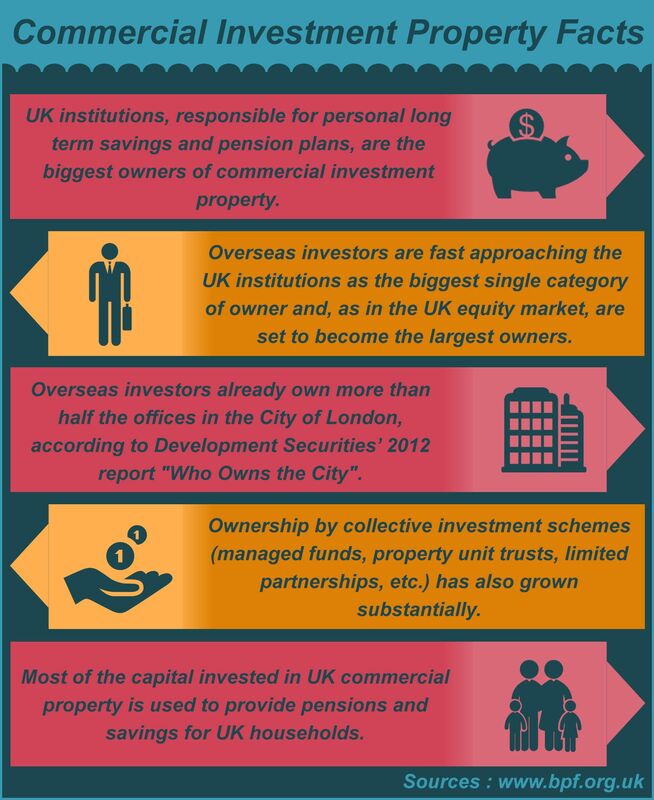 The majority of the capital invested in commercial property in the United Kingdom is by pension and savings plan providers. Investment in commercial property represents almost 5% of the staggering £2.5 trillion figure invested by pension funds and insurance companies. A substantial area of growth has been in ownership of commercial property by collective investment schemes such as limited partnerships, property unit trusts, etc. Commercial property is a sector which makes up a major part of the economy in the United Kingdom. It is also a platform for almost all of the country’s major industries. Investment in commercial property is a sector which plays a pivotal role in providing places where people can shop, work and spend their free time pursuing leisure activities. The commercial property sector is a significant contributor to the retirement finance industry and is a higher contributor to the economy of the United Kingdom than communications, banking, transport and leisure. Commercial property is primarily composed of the core sectors such as industrial (factories and warehousing), office and retail. Leisure parks, pubs, garages, hotels, petrol stations and cinemas are also regarded as commercial property. It is a key factor of production in the United Kingdom and the industry is almost as large as the country’s plant, vehicle and machinery sectors. 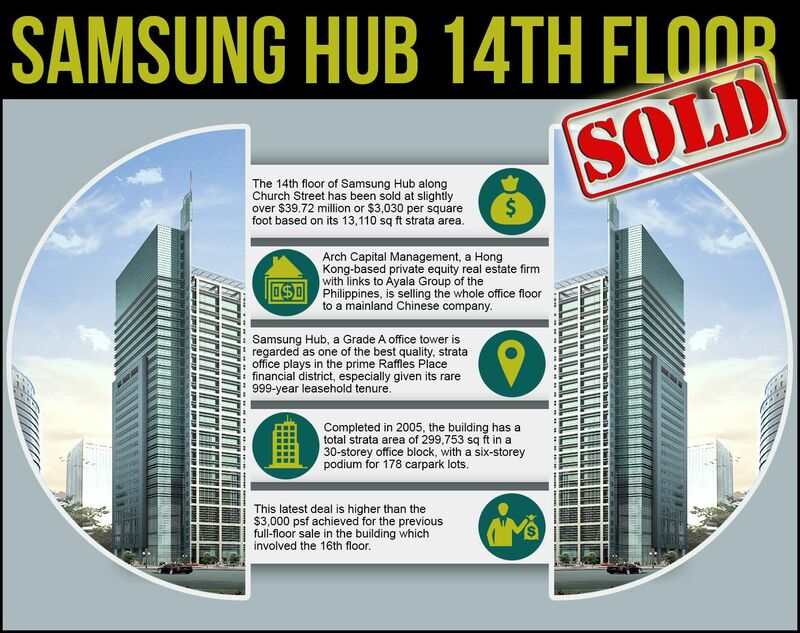 Check out our latest post to see how much the Samsung Hub 14th Floor sold for.